Our lawyers in Harrisonburg assist drivers with speeding tickets, reckless driving charges, and other traffic-related cases. We will work with you to give you the advice you need and will try to resolve your driving-related charges in the best way possible. Criminal charges can alter the course of your entire life, so you need the help of an experienced criminal defense attorney even if you are guilty — and especially if you are innocent. Even minor criminal convictions can have serious consequences. If you are facing a criminal charge or are under investigation for a crime, before you speak to a law enforcement officer contact Cook Attorneys for an experienced attorney to help you navigate local criminal justice system. When filing for an immigration status, you need an immigration attorney you can trust who understands immigration law and the bureaucratic process. Since 2000, Cook Attorneys has assisted immigrants throughout the Shenandoah Valley to adjust their status, apply for family members, petition for naturalization, and obtain asylum to stay in the United States. Let us help you on your journey toward U.S. citizenship with a plan of action that complies with the complicated immigration process. If you need to hire a traffic law attorney or a criminal defense attorney, it is important to find an attorney who you can trust to commit the time and energy necessary to work for the goals of your defense. Consider an attorney’s experience and expertise and also his ability to clearly explain the process and answer your questions. Sometimes it is helpful to shop around so that you can have the utmost confidence in the ability of the attorney you hire to handle your legal case. 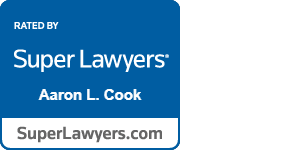 At Cook Attorneys, our lawyers are dedicated to making sure that you have the advice and representation you need at a critical time. We understand that if you are hiring a lawyer, your case is important to you. We’ll work with you to make sure you understand what is happening in your case and to make sure that know all your options. Our task is to do our best to reach your goals with the least negative impact on your life. For the convenience of our clients, Cook Attorneys is located adjacent to the Rockingham County courthouses on Court Square in Harrisonburg, Virginia, and one block away from the United States District Court. From Interstate 81, take Exit 247/Market Street west toward downtown Harrisonburg. After 1.5 miles, turn right on Main Street then take an immediate left onto Court Square. Follow the Square around two corners to arrive at Cook Attorneys, 71 Court Square, across from the springhouse. Parking is available on Court Square or under the parking deck across from the Water Street entrance to our building. We are a short walk or bike ride from the campus of James Madison University. If you wish to contact us, please fill out the form below to request more information about how we can serve you.